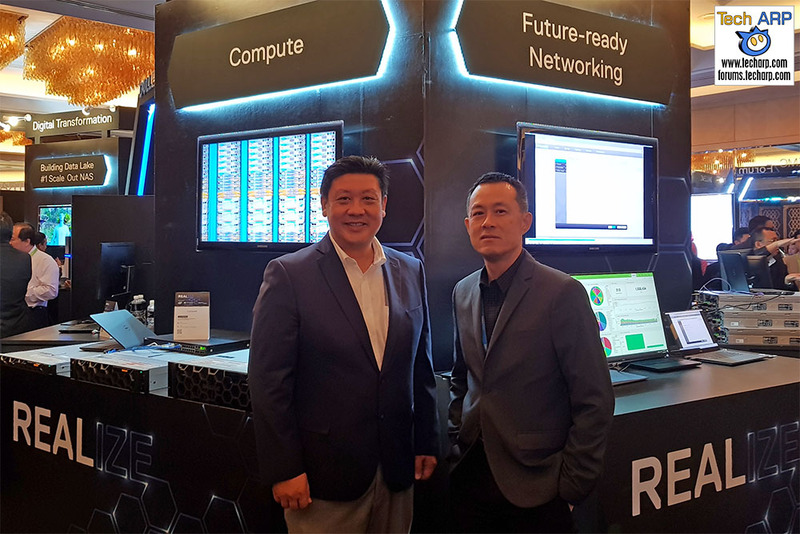 Dell EMC just announced the worldwide availability of the 14th Generation PowerEdge servers, as well as Hyper-Converged Infrastructure (HCI) advancements, at the Dell EMC Forum 2017 here in Kuala Lumpur, Malaysia. Join us for the media briefing on these two new developments at the Dell EMC Forum 2017, with KT Ong and William Tan from Dell EMC Malaysia! At the Dell EMC Forum 2017, Dell EMC announced that they will be integrating their Dell EMC PowerEdge servers into the Dell EMC VxRail Appliances Hyper-Converged Infrastructure (HCI). VxRail Appliances on PowerEdge servers deliver 40% more CPU performance for the same price, increased flexibility and scalability with more configurations, all-flash nodes equipped with double the storage capacity and a new 3-node entry point that is more than 25% less expensive. Storage heavy workloads including Big Data Analytics and Microsoft Exchange can take advantage of VxRail Appliances based on the PowerEdge R730xd platform that has highly dense storage nodes coupled with the latest Intel processors to provide high-performance processing. Graphics-heavy client virtualisation workloads that require increasing levels of performance found in the latest operating systems including Microsoft Windows 10, as well as productivity applications and graphics-intensive CAD/CAM, research and development applications based on the PowerEdge R730. Remote Office/Branch Office environments can leverage the low-end 3-node entry option based on the PowerEdge R630 with a starting priced as low as US $25,000 for a three-node cluster, allowing customers to cost-effectively deploy HCI to simplify IT management at multiple remote sites. Enhanced enterprise deployment features – Streamlined installation and implementation experience designed to help enterprise customers manage VxRail Appliances at scale. The VxRail Appliance deployment experience, which is optimised to deploy a single appliance in only 20 minutes, now can be applied to larger cluster sizes, allowing customers to add and manage 10 or more appliances as easily as a single appliance. Additional hardware flexibility lowers total cost of ownership – New single processor options, reduce the cost of deploying processor-based licensed software for scaling up to 64 nodes. New network options, including up to 12 additional ports, allow VxRail Appliances to be deployed in environments requiring physical network segmentation of workloads. Support for the latest VMware technologies – New VMware vSphere 6.5 and VMware vSAN 6.6 support adds optimised data service algorithms to accelerate flash performance, software-defined data-at-rest encryption to protect against unwanted access to data, and enhanced protection for stretched clusters. Improved interoperability with Dell EMC technologies – Customers deploying VxRail Appliances now can leverage a centralised Dell EMC Secure Remote Services (ESRS) gateway to provide a single point of secure, two-way remote support for their entire Dell EMC infrastructure. VxRail Appliances powered by PowerEdge servers is now available for order in Singapore, India, and Korea starting 14 August 2017. VxRail Appliances powered by PowerEdge servers have planned available in October 2017 in Afghanistan, Bangladesh, Brunei, Cambodia, Fiji, Guam, Indonesia, Laos, Malaysia, Mongolia, Myanmar, Nepal, Pakistan, Philippines, Samoa, Sri Lanka, Thailand and Vietnam. Previous : Huawei Pits The nova 2 Plus Against The iPhone 7 Plus!